Fu Jyi Lin is Textile finished product manufacturer of bags. We provide plastic bags, paper bags, PET bag, nylon bag, polyester bag, shopping bags, handbags, non woven bag, re-useable bag, etc. Fu Jyi Lin provide a one stop solution to carry & pack items by this range of non-woven bags. 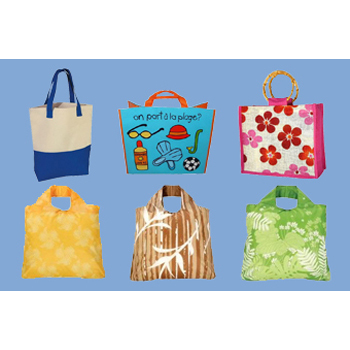 We offer different kinds of non woven bags which are available in varied base papers and designs. With innovative design, beautiful colors and eye catchy patterns of these bags find maximum utility in storing, carrying and gift packing requirements of our clients.We accept custom order based on your desired fabric, style and size. We pride ourselves on providing quality customer service with competitive price. Customers are very welcomed to research & develop products with us and we also accept custom order requested such as width, color, design, quality to produce any products.